(Oklahoma Historical Society Photograph Collection, OHS). (13435, Oklahoma Historical Society Photograph Collection, OHS). BOREN, DAVID LYLE (1941– ). An Oklahoma governor and a U.S. senator, David L. Boren, the son of former Oklahoma U.S. Rep. Lyle H. Boren and Christine McKown Boren, was born in Washington, D.C., April 21, 1941. After attending public schools in Seminole, Oklahoma, and Bethesda, Maryland, he went to Yale University, graduating in 1963. A Rhodes scholar at Oxford University in England, he completed a master's degree in 1965. In 1968 he received his law degree from the University of Oklahoma. Shortly after graduating from law school, Boren married Janna Lou Little, the daughter of Oklahoma politician Reuel Little of Madill, who ran for governor as the candidate for the American Party in 1970. The couple had two children, Dan and Carrie, before the marriage ended in divorce in 1975. In 1967 Boren was elected to the Oklahoma House of Representatives from Seminole County. He served four terms, 1967–74, before focusing on attaining the governor's office. In those years he practiced law in Seminole, rose to rank of captain in the Oklahoma Army National Guard, and chaired the social sciences department at Oklahoma Baptist University in Shawnee. 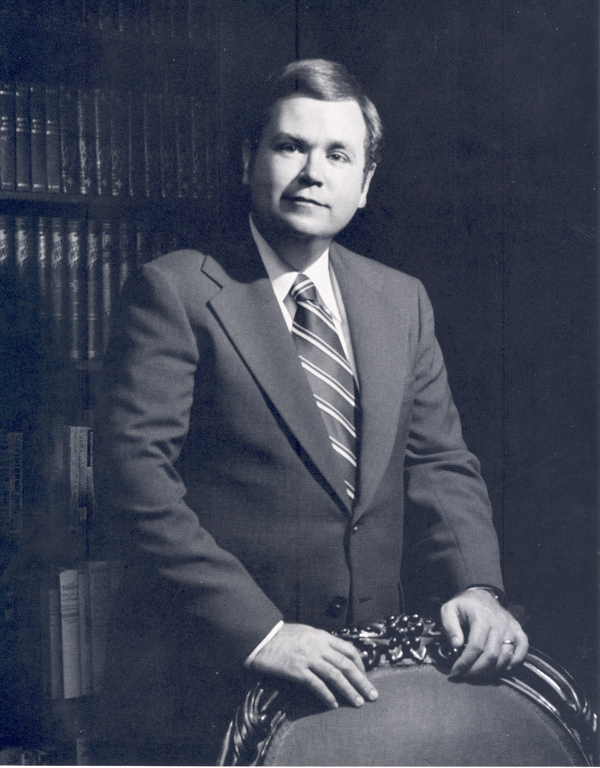 Boren was elected governor of Oklahoma in 1974 with the help of a unique campaign symbol. Armed with brooms, the "Boren Broom Brigade" carried the young legislator's pledge to "sweep out the Old Guard" and bring fundamental reforms to state government. A huge rally of more than five thousand people carrying brooms was held on the steps of the State Capitol on the eve of the election. Boren's platform included requiring competitive bidding for state bank deposits and for professional services, corrections reform, campaign finance disclosure laws, and open meeting and public voting by all state legislative committees and state boards and commissions. Boren slipped past the incumbent governor, David Hall, into a Democratic runoff with favored Clem McSpadden. Boren beat McSpadden and swept past Republican challenger James M. Inhofe of Tulsa in the 1974 general election. At age thirty-three, Boren was the nation's youngest governor when inaugurated on January 12, 1975. His inaugural ball at Oklahoma City's Myriad Convention Center offered music for every kind of taste from big band to rock and roll. The new governor's cousin, singer and songwriter Hoyt Axton, performed. As governor, Boren emphasized reform; his young age did not preclude leadership ability. As a highly educated person, he developed a distinct professionalism in his office. Through intelligence, compromise, and great resolve, his reform program enabled Oklahoma, a state ripe for government reorganization, to emerge with a more progressive and efficient structure. Boren-sponsored legislation included eliminating the inheritance tax between spouses as well as reducing the income tax, the first such cut in twenty-seven years. He sponsored a statewide referendum that partially reorganized the executive branch, making the offices of secretary of state, labor commissioner, and chief mine inspector appointive and eliminating the post of commissioner of charities and corrections. In 1976 he promoted reform of the state's corrections program, still reeling from the destructive 1972 McAlester prison riot, and successfully pushed through various anticrime legislation. In 1977 he promoted and achieved "sunset" legislation, resulting in the elimination of more than a hundred state agencies, commissions, and boards. Throughout his tenure he also fought hard for a major reform of the Workers' Compensation Law. The Boren administration developed a leadership enrichment program and also led efforts for the first state funding for gifted and talented public school students. During the "gasoline crisis" of the mid-1970s Boren rose to prominence on the national scene when he spoke out in favor of deregulation of natural gas prices at the federal level. As a result, Pres. Jimmy Carter appointed him chair of a task force of representatives from thirty states to study the problem. Extraordinary security surrounded the marriage of Governor Boren to Pontotoc County Special District Judge Molly W. Shi on November 27, 1977. Only Boren's family and immediate top-level staff members knew of the approaching wedding until hours before the event. David and Molly Boren made history. It was the first time an Oklahoma governor was married while in office. They exchanged vows in the Governor's Mansion with only immediate family members in attendance. First Lady Molly Boren was born in Ada, taught school after receiving an English degree from East Central State University, and completed her master's degree in English and law degree at the University of Oklahoma. She practiced law in Ada before being appointed special district judge in 1975. In January 1978 Boren decided not to seek another gubernatorial term. Vowing to take "Boren's Broom Brigade" to the nation's capital, he successfully ran for the U.S. Senate. An expert practitioner of the art of political compromise, he was quickly recognized as a national leader in the Senate, serving as chair of the Senate Intelligence Committee. Reelected twice, he served a total of three terms. David Boren resigned from the Senate in 1994 to become president of the University of Oklahoma. Molly Boren became the first woman in Oklahoma history to serve as a trial judge, First Lady of the State of Oklahoma, and First Lady of the University of Oklahoma. Boren became the first Oklahoman to serve as a state legislator, governor, U.S. senator, and president of the University of Oklahoma. His establishment of the Oklahoma Foundation for Excellence exemplified his interest in education. At the end of the twentieth century Boren had substantially raised contributions to the university, placing OU among the nation's best-funded universities. Betty Crow and Bob Burke, The House Oklahoma Built: A History of the Governor's Mansion (Oklahoma City: Oklahoma Heritage Association, 2000). Carolyn G. Hanneman, "David Lyle Boren, Governor of Oklahoma, 1975–1979," in Oklahoma's Governors, 1955–1979: Growth and Reform, ed. LeRoy H. Fischer (Oklahoma City: Oklahoma Historical Society, 1985). Bob Burke, "Boren, David Lyle," The Encyclopedia of Oklahoma History and Culture, https://www.okhistory.org/publications/enc/entry.php?entry=BO018.